Back when the world was very new and things were quite different than they are now, Man and Animals were learning how to live and work together. Many things we now take for granted were not so. For instance, we all know that the Camel is quite famous for his hump. But did you know that he didn't always have that hump? And, did you know how and why he obtained that hump? 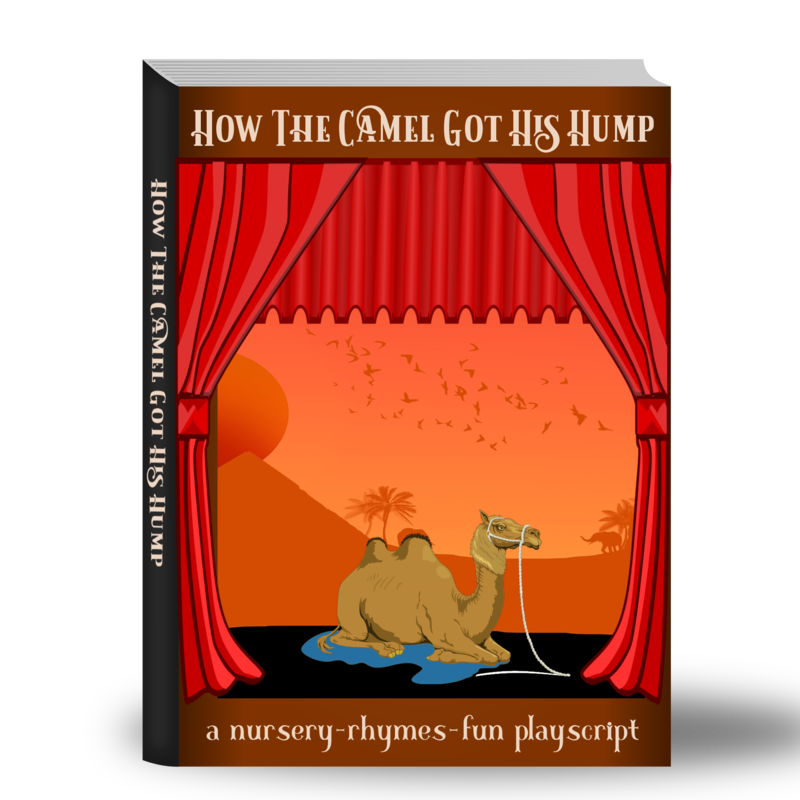 How the Camel Got His Hump - The Play is that story adapted into a playscript for kids. Can't you just visualize the fun and laughter as you watch each child portray a different animal while they work through the trials and lessons from way back in the beginning when the world was so fresh and new? How The Camel Got His Hump is performed in one act with a cast of 7. As with all of our plays, the use of extras, with non-speaking parts are always available for those ready and willing. How The Camel Got His Hump can boast all of the positive uses for creating a play, but this one comes with an added bonus life-lesson at the end. Everyone will see that it pays off in the end to work with and help others. And, when you don't? Well. . .
How The Camel Got His Hump playscript is totally risk free. Nothing to lose. If it isn’t everything I said it is, then return it for a full refund. You get instant access to your copy of How The Camel Got His Hump in under 10 minutes through a safe and secure transaction. Right after your order is approved (usually in seconds), you will be able to download immediately. It's that easy. And, with PayPal you know it’s secure. You will receive your playscript right away. Use as you wish. As often as you wish. Just download your pdf when you get your link. That's it. Then print and use as you need them. Print as many copies as you need for each production.